"USA Standard Gear Driveshaft -- - - ". Series : USA Standard Gear Front OE. Notes Overall compressed length is 25 1/4 in. from flange to flange, Location : Front. Location : Front. Condition : New. Part Number: 368. Established in 1959! Drive Shaft Fits GMC Syclone 938-217 Dorman - OE Solutions. 1991 GMC Syclone. Drive Shaft Length (In)26.625 In. Drive Shaft MaterialSteel. Drive Shaft Wall Thickness (In)0.188 In. Greaseable Drive ShaftYes. Part Number: 455. Established in 1959! Key Search Words - 2000 : Drive, Shaft, Repair, Kit, Kits, Repairs, Shafts. This part�s position is Front, Rear. Note: This part fits multiple vehicles - Review the notes section in the compatibility chart to verify the position of this part on your vehicle. Trending at $29.04eBay determines this price through a machine learned model of the product's sale prices within the last 90 days. New universal joint. What you see in the pictures is what you get. 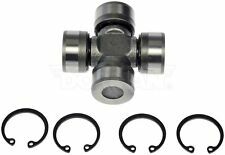 "Yukon Gear & Axle Driveshaft Pinion Yoke --. 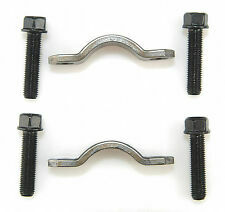 YUKON GEAR & AXLE – YOKES. Axle type : GM 8.5 in. Therefore all implied warranties that may apply to your part are limited to the duration of this written warranty. Part Number: 379. Warranty Duration:Other. We strive to get you the right, quality part at a fair price as quickly as possible. Part Number: 379. Interchange Part Number : 379, 210-0278, 1-0278, 45U0121, 5-278X, 278, U278. Part Numbers: 1-0278, 20306, 210-0278, 278, 379, 45U0121, 5-278X, U278. To confirm that this part fits your vehicle, enter your vehicle's Year, Make, Model, Trim and Engine in theCompatibility Table. Replaces oe number : 89029266. "AC Delco U Joint --. Condition : New. Therefore all implied warranties that may apply to your part are limited to the duration of this written warranty. Each warranty gives you specific rights, and you may have other rights which vary from state to state. Part Number: Dana Spicer. Great item! These things work GREAT! Item as described.2019-04-19. 3207 Communication. 2989 Item as described. Interior Parts & Accessories. Condition : NEW. Part Number: U3147. The engine types may include 1.9L 119Cu. l4 GAS SOHC Naturally Aspirated, 2.0L 122Cu. l4 GAS OHV Naturally Aspirated, 2.2L 134Cu. l4 DIESEL OHV Naturally Aspirated, 2.2L 2180CC l4 GAS OHV Naturally Aspirated, 2.2L 2190CC 134Cu. "AC Delco Driveshaft Bushing --. Notes : Propeller Shaft Slip Yoke Bushing. Therefore all implied warranties that may apply to your part are limited to the duration of this written warranty. Each warranty gives you specific rights, and you may have other rights which vary from state to state. 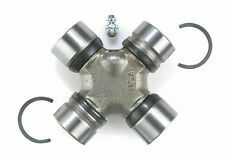 New Presicion Universal Joint 379. Authorized Spicer Dealer. Fast & Free Shipping! 12 MONTH PART WARRANTY! FREE AND FAST SHIPPING! 1992 GMC Typhoon AWD. 1993 GMC Typhoon AWD. Notes: Drive Shaft. Drive Shaft Length (In): 26.625 In. Ensure Proper FitTo confirm that this part fits your vehicle, enter your vehicle's Year, Make, Model, Trim and Engine in the Compatibility Table. Part Number: 379. Interchange Part Number : 379, 210-0278, 1-0278, 45U0121, 5-278X, 278, U278. Part Numbers: 1-0278, 20306, 210-0278, 278, 379, 45U0121, 5-278X, U278. We are driven to providing the part you need! 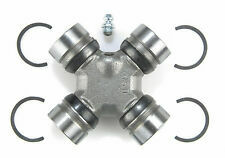 New Precision Universal Joint Assembly. The part number is 437. Universal Joint Precision Joints 437G for many vehicle applications. Interchanges with as used in compatibility guide. May not be actual photo. This is no way changes the use or life of the part, but it allows us to keep our prices low and increase your savings. Drive Shaft Length (In) : 26.625 In. Drive Shaft Material : Steel. Drive Shaft Wall Thickness (In) : 0.188 In. Greaseable Drive Shaft : Yes. Key Search Words - 2000 : Drive, Driveshaft, Shaft. Position: Front. Sixity Auto Direct stands for value, selection, and quality. Select a reason. The most common reason isDoesn't Fit. Find the item you ordered. Condition: New. New part in original packaging. May be a little dusty or dirty from storage. Listing is for one package. Part #: 379. Warranty Type: Manufacturer Warranty. WARRANTYWarranty Duration: Other. No local pickup option available. Greasable : NO. Part Number: 237. Interchange Part Number : 237, U443-HP, 5-526X, 20292P, U443HP, 45U0013. Feature 2 : Eliminates grease passages in the cross for maximum strength in high torque applications.